Here’s another one of those copy-paste school papers of mine. Since I wrote this for a music class, I didn’t really get to mention any of the Beethoven references in anime. Which is a shame because there are a crap ton. In recent years, the performance of Beethoven’s Ninth Symphony has become a surprisingly popular Japanese New Year’s tradition. Every year, thousands of Japanese people, ranging from musicians to normal music lovers alike, attend these massive concerts to ring in the New Year with perhaps the biggest monument to Western music. While it may seem strange that the world’s largest performances of the most famous symphony of all time take place in Japan, the country’s obsession with Beethoven is a product of its history with Western music stemming from its introduction in the Meiji Era (beginning around the mid-19th century). Unlike many Asian nations, Japan was never colonized by a Western country, aside from the brief occupation by American soldiers following the end of World War II. This bred elitism and selectivity in terms of the way Western culture is adopted into the country. Any Western influence that was introduced into the country was a conscious decision, including the popularity of Beethoven’s Ninth Symphony. While Beethoven’s Ninth Symphony was first introduced to Japan by German prisoners of war during World War I, the origins of Western music in the country can be traced all the back to the Meiji Era. During this period, Japan began to look outward at the rest of the world and took interest in Western political and cultural models. According to musicologist Ury Eppstein, the beginning of the Meiji Era brought about a “new policy aiming at the modernization of Japan and the introduction of Western cultural achievements” (Eppstein 1994). As a result of this cultural paradigm expansion, Western music education was introduced into the both the Japanese school systems and military. Eppstein argues that this music was not brought in as a new art form, since Japan already had a rich art history of its own, but rather as a mechanism through which students and soldiers could build discipline and character that would imitate Western values. For the Japanese, the music of the West represented a type of thought, culture, and expression that they wished to emulate in order to succeed as a nation. However, whether the technical content of the music itself mattered to the Japanese is a much more difficult question to answer. It seems that the adoption of Western musical practices was, for the most part, indiscriminate. At the time, just the fact that it came from the most successful nations of the time made it worth studying. This appropriation of Western music has persisted to this day, resulting in the popular New Year’s performances that have occurred every December for decades. The largest instances of Beethoven’s Ninth Symphony occur in Osaka, Japan and are called the “Ichiman-nin Daiku ,” which literally translates to the “10,000-person Big 9.” This title alone attributes itself to the ideal Beethovenian aesthetic of maximalism, boldly implying that there can only one musical work deserving of such attention and grandeur. As expected, there’s a lot of cynicism regarding the symphony’s popularity, even within the Japanese population. As mentioned in a 1990 article from the New York Times, a Japanese conductor declares that the symphony has become “a typical crazy Japanese love of what’s fashionable” and “that by now it has lost its meaning and simply become big business.” (Weisman 1990) Once again, this obsession with what’s “fashionable” can be attributed to Japan’s cherrypicking of Western culture in order to emulate successful nations. It’s amusing to think that Beethoven’s music has suddenly become something is being criticized for being easily consumable by the masses, with the final movement of the Ninth becoming the world’s biggest pop song that anyone can hum along to. This ideology can also be seen in post-World War II Japan, when the country was thrown into a state of chaos and was forced to take on Western values in order to catch up to the accelerating superpowers like the United States and Russia. While this conductor’s argument has truth to it, the choice to always perform Beethoven can’t possibly be an arbitrary one. Otherwise, I don’t think this tradition could have lasted for over twenty years. If the Japanese are obsessed with the best, then they must believe that Beethoven is the biggest monument to Western music. If they had to choose one piece to perform and to glorify every year, it would have to be, in their eyes, the greatest symphony written by the greatest composer, done in the best style of music. Of course, there are many reasons why Beethoven’s Ninth Symphony is considered to be a masterpiece, and I believe that the message behind music is what attributes so much to its accessibility to every single culture on Earth. The concept of brotherhood, fidelity, and love for one’s neighbor is so universal that Beethoven’s Ninth Symphony could easily become the anthem for the entire world. In a 2010 article in The Japan Times, a California filmmaker believes that the Ninth Symphony has provided an outlet for the nation to say, “We’re a different country now, we’re reaching out with a different sensibility. We can cross boundaries, there’s nothing that separates us” (Brasor 2010). In a way, it’s a symbol of newfound openness for Japan, as well as a way to restore the national pride shattered by World War II. While the music itself may not be of Japanese origin, the message it delivers is one that they, and the rest of the world, can easily align with. The music of the Ninth Symphony has the capacity to transcend these cultural borders. Not only do the themes resonate within the hearts of the Japanese, the music is receptive to performance, particularly the 4th movement. The large 10,000-person concerts are open to the public to not only attend but to perform as well. Amateurs from all ages are invited to sing in the massive choir, though the opportunity typically appeals to the older generations because of the ties the music can have with memories of World War II. Being an incredibly affirmative piece that insists on closure, there’s solace to be found in the final movement which promotes peace and unity, establishing a genuinely emotional tie with the music that a performer of a different age or nationality may not possess otherwise. All that matters here is not musical skill, except for the orchestra and the soloists, but simply just passion for the material. Anyone is invited to perform, which perfectly blends with the significance of joining in that is emphasized in the Ninth’s final movement. With each thematic introduction and variation, voices and instruments join the musical texture, driving the music closer and closer to its exalting resolution. It’s almost saying that we as a species require human interaction and communication to be successful, exemplified by the Japanese adoption of Western music back in the Meiji Era. Perhaps the reason why Beethoven’s Ninth Symphony has become a Japanese staple is because it embodies so much of this historical ideology, as well as serving as a reminder of the impracticality of cultural isolation. The Ninth is a complex piece that speaks to many different levels of Japanese philosophy, providing routes for meditation that are both extrospective and introspective. It presents ideas that are so universal that they shouldn’t be limited to one hemisphere of the globe or the other. 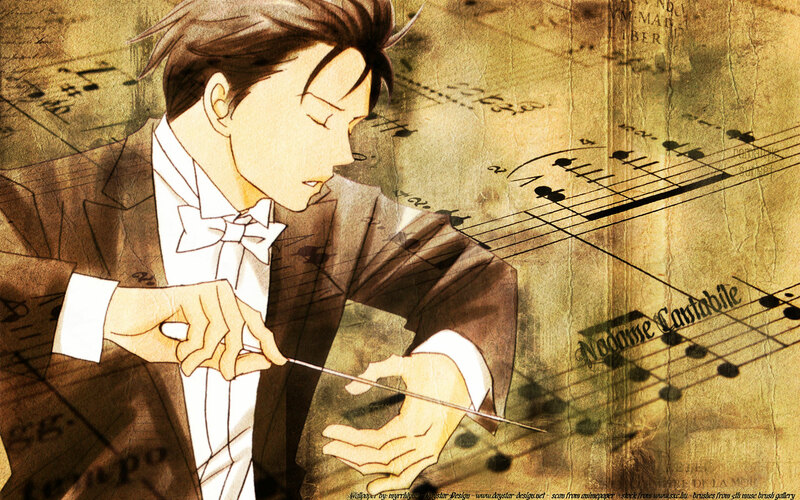 Yet at the same time, the supremacy that is associated with the symphony aligns so well with Japan’s history with Western music. The utopian themes resonate with the country’s tortured war memories on a personal level, and the music itself indiscriminately invites anyone from any background join in. The “Ode to Joy” theme really does become the ultimate pop song in this regard, carrying the entirety of Western thought in a small capsule that spans the entire Western octave. The almost religious Japanese ritual of performing Beethoven’s Ninth acts as the culmination of the country’s exposure to Western culture and represents the superposition of Western values onto historical Japanese ideology. Brasor, Philip. 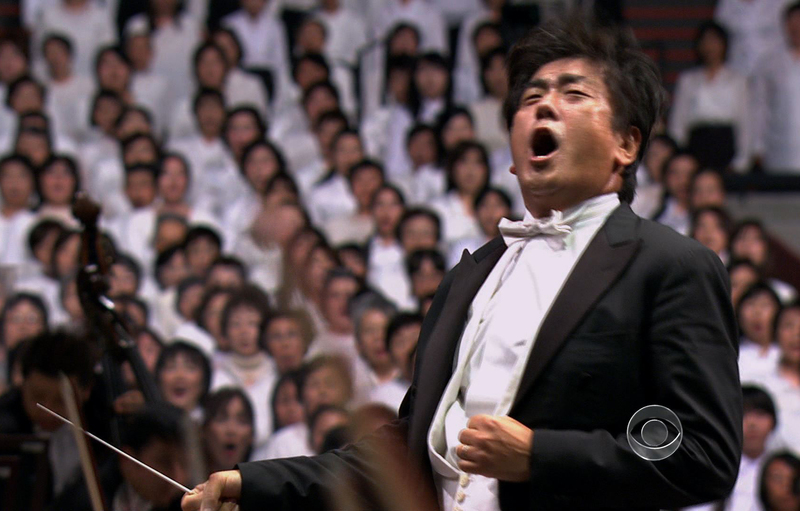 “Japan Makes Beethoven’s Ninth No. 1 for the Holidays.” The Japan Times. December 24, 2010. http://www.japantimes.co.jp/culture/2010/12/24/culture/japan-makes-beethovens-ninth-no-1-for-the-holidays/#.UZF-CsrosdN (accessed May 8, 2013). Eppstein, Ury. The Beginnings of Western Music in Meiji Era Japan. New York: The Edwin Mellen Press, 1994. 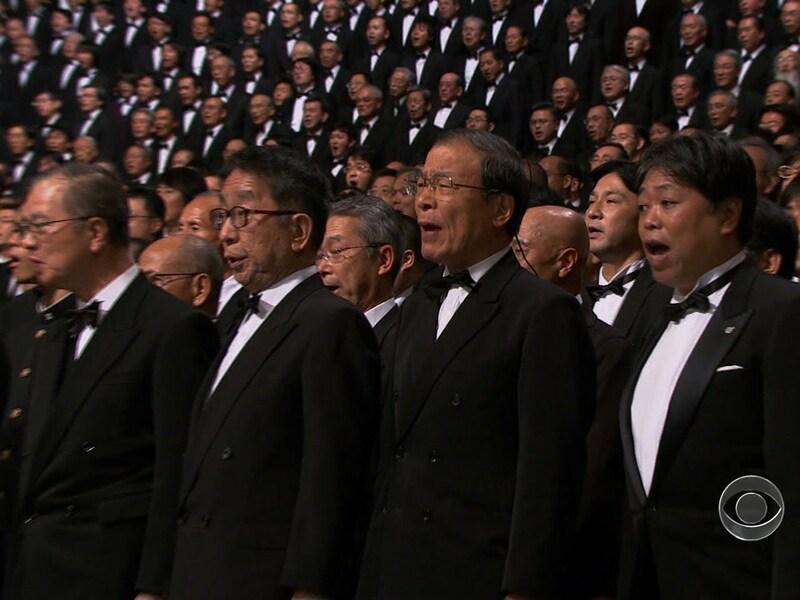 Weisman, Steven R. “Japan Sings Along With Beethoven.” The New York Times. December 29, 1990. http://www.nytimes.com/1990/12/29/arts/japan-sings-along-with-beethoven.html (accessed May 8, 2013). Interesting post! I was wondering too why Beethoven – and in particular his Ninth Symphony – is that popular in Japan.